The clinic described below is designed for hoof-care practitioners and qualifies for AAPF credits. The workshop can also be audited by owners or others. The following gives a broad outline of the topics and activities, but the exact contents of any given workshop may vary somewhat. For clinic dates, please see our Upcoming Events listing. 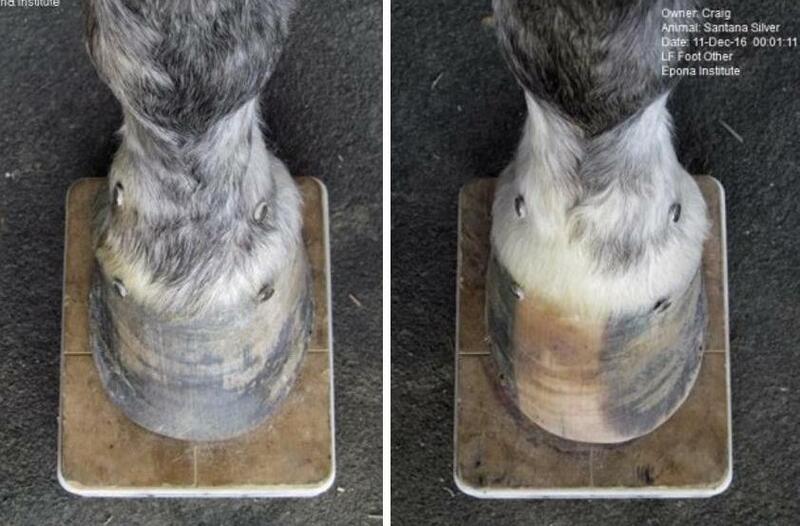 EponaMind is proud to introduce a new clinic format for Hoof Care Practitioners. The instructors come from various backgrounds -- certified American and licensed European farriers along with Monique Craig -- our goal is to include insights from the use of metal and composite shoes, as well as barefoot trimming. The main focus of the clinic is on trimming and evidence-based analysis of the hoof. A highlight of the event will be the introduction of EponaMind's new technology including the new EponaCam and deep learning within the Metron software. A goal of the clinic is to help participants hone their 3-dimensional skills when trimming/shoeing, understand how to use a modern measurement tool like Metron, and how its use might make their practice even better. We will feature lectures (e.g. on trimming, Metron, our biomechanical research), hands on work with horses, and one on one instruction for participants. This event takes place at EponaMind's home base in Paso Robles, California. This is going to be a unique event, with a relaxed and friendly environment, that blends broad perspectives with innovative methods. We urge you to sign up soon as space is limited. Above: Learn about the geometry of the hoof and bones -- the subtle asymmetries -- and how they might affect trimming. Above: Learn to develop a three dimensional approach to trimming and shoe placement based on anatomical landmarks. Discussion of evidence-based case studies and published research. Above: Understanding hoof plasticity. Assessing bone morphology, capsular distortions and how to avoid peripheral trimming and shoe placement when possible. Above: Live demos and hands-on with any or all of three cases: barefoot horses, metal shod horses and composite (EponaShoe) shod horses. We will be take before/after radiographs and photographs of the hoof for all horses. Above: Evidence based measurements --- helps with your business – helps limit your liability – increase your skills – more income. Demo of Metron-Hoof Software now using artificial intelligence and the new EponaCam for hoof photography. Automated hoof measurements – never measure photographs by hand again. Objective measurements – not done by a human with biases. Repeatable measurements – same image gives same numbers every time. Easy workflow – snap the shutter, the rest is done for you. Above: Enhance your business by using the latest technology to document the hoof. Peace of mind for you, your customer and the veterinarian. 9 am to Noon: Hands-on with horses. Participants will be working in team of two or three with an instructor. 1 pm to 3:30 pm: Additional Hands-on. 3:30 pm to 5 pm: Topics in equine biomechanics; Review and discussion of radiographs, photographs, and measured data.